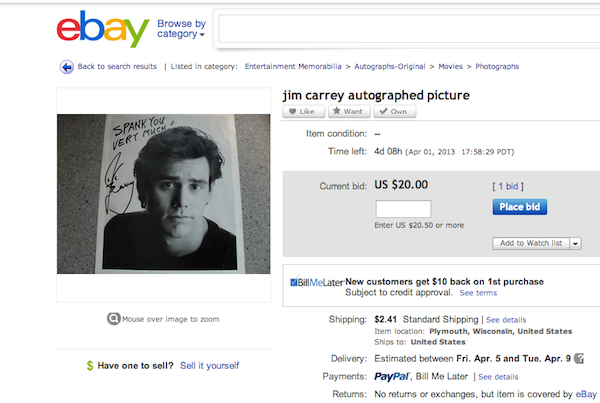 After Canadian Jim Carrey’s distasteful music video ridiculing gun owners in general and Charlton Heston in particular, an eBay user is auctioning off his autographed picture to raise funds for CHL Class. 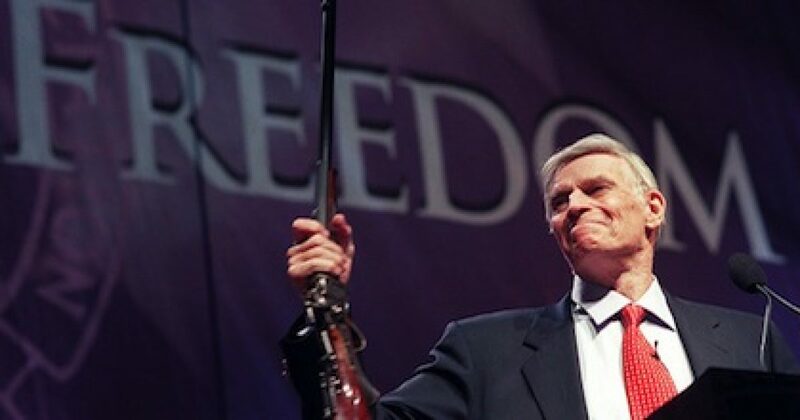 I heard what Jim Carrey had said about gun owners and also Charleton Heston. That kind of angered me, being that we spent alot of money over the years on his movies. We hunt, fish, camp, and target shoot like millions of other people out there, and I see nothing wrong with that. I gave the dvd’s we had away to st. vinnies, and sold the cartoon dvds that we had. This autographed picture was given to me by my parents about 10 years ago and hung on the wall in my office since. The proceeds will send my wife to concealed carry class. Thank you and happy bidding. Here’s hoping the bids go sky-high and the purchaser holds a public ceremony shredding or burning the picture!